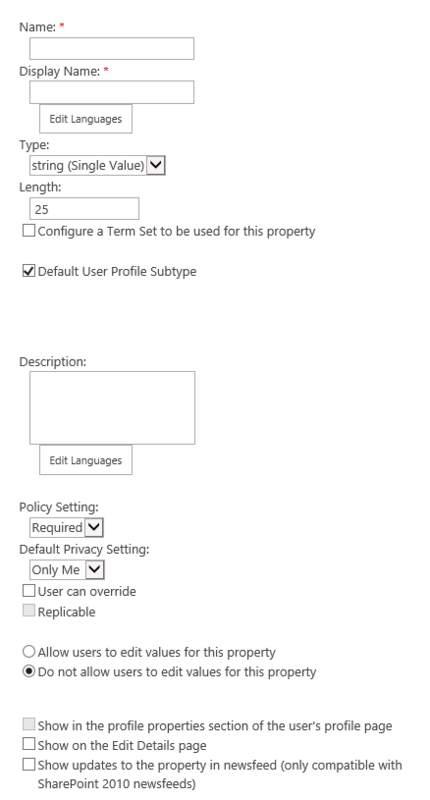 Many at times, I have been asked about mapping custom properties from Active Directory to SharePoint User Profile. I decided to answer them via this post. Mapping fields from Active directory to SharePoint is very simple and straight forward. We will see a step by step demonstration now. Select the source of your AD Import from the dropdown, if you have just one AD Import profile, you will see that selected by default. In the Attribute text field, enter the property name which is at the Active Directory side. Then click on Add. You will see the attribute is added in the Property Mapping for Synchronization section. Click on OK and run a full synchronization. 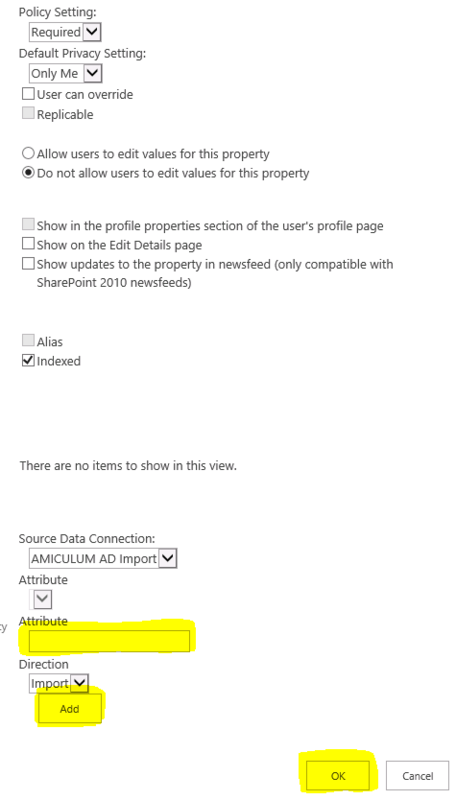 You will see your property being pulled from AD to SharePoint. But it’s not working. Sad, isn’t it ? I struggled 2 hours to find this MSDN article which showed me the right way. Create a new Visual Webart Project in VS 2012. Give it a proper name and make it a Farm level solution. Now delete the existing Visual WebPart item within the solution (to remove the default name) and add a new item – Visual WebPart and give it the desired name. Here I am using client control and not any server control so there will not be any post back experience. If you wish you can add more functionality to this same webpart and use it in your real world scenario like adding server controls to it and then writing some code behind for it and so on.